Product #25997 | SKU 90XB015P-BSL0C0 | 0.0 (no ratings yet) Thanks for your rating! 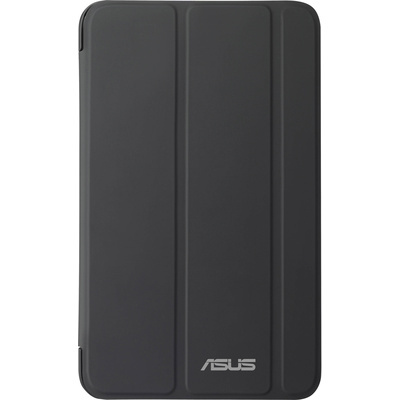 The black ASUS TriCover Protective Cover and Stand for MeMO Pad 8 ME180 is designed to fit an ASUS MeMO Pad 8. It has a folding triangle design for stability and dual-stance cover for watching videos and typing. It protects both the front and back of the tablet while offering access to all the ports. There are magnets for a secure attachment. Additionally the rubberised rear case allows you to get a good grip. The low-profile form factor of the TriCover ensures it won't add much bulk to the tablet.